The Cascadia subduction zone stretches for 1,300 kilometers from the northern tip of Vancouver Island to northern California. Subduction occurs when one tectonic plate shifts under another, and can cause large magnitude quakes resulting in prolonged shaking, landslides and tsunamis. Any time there is an earthquake along the Pacific coast, British Columbians collectively quiver at the thought of the Big One happening here. The media react with what-if, alarmist news items. Don’t be worried, but do be prepared. If you live in a townhouse or highrise, the building might sway. It may take you a second to process what is happening. Get under a sturdy table, desk or inside a hallway. Move away from unsecured bookcases, windows, mirrors or any cupboards where the contents might fly. The shaking may only last for a few seconds or it could go on for a long couple of minutes. Get yourself and your home ready. Secure your heavy furniture by anchoring to wall studs if possible. Have an earthquake kit. You will need a 72 hour supply of food and water. If you have pets, they need a kit of canned pet food, water and plastic bags. Store a pair of slippers under your bed to protect your feet from broken glass. Communicate with family members about a meeting point if separated and have an out of town contact. 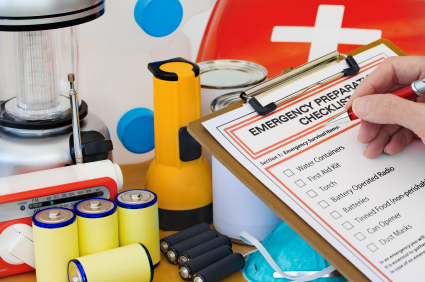 Find out if your strata has an emergency preparedness plan. Is there an evacuation route? It’s estimated that only 40% of condo owners have insurance – get coverage. What about the Strata Corporation’s Contingency Reserve Fund and Insurance? Strata corporations can use the Contingency Reserve to pay for damage caused by earthquakes, including the deductible, but it probably won’t cover all damage. To grow the fund, your Strata Corporation can introduce a special levy with an owner vote at a general meeting. Many Strata Corporations will not have a CRF balance that is sufficient to cover the earthquake deductible, so owners should ensure their own insurance policies will cover the cost losses and damage. Seek advice from your insurer or insurance broker. Section 149 of the Strata Property Act directs Strata Corporations to carry property insurance on the basis of full replacement cost and insures against major perils as set out in the Regulations and any perils specified in the Bylaws. Section 9.1.2 of the Regulations defines ‘major perils’ as the perils of fire, lightning, smoke, wind storm, hail, explosion, water escape, strikes, riots or civil commotion, impact by aircraft and vehicles, vandalism and malicious acts. Earthquake coverage is currently not considered a major peril by the Regulations. Many insurance policies include earthquake coverage. Deductibles for Strata Corporations in the Lower Mainland can vary and are based upon a percentage of the replacement cost value, i.e.,10%. Areas considered by insurers to be lower risk with lower deductibles could include areas at higher elevations such as Burnaby, Coquitlam, Surrey, North Vancouver and West Vancouver, for example. Higher risk for damage from earthquakes can have much bigger deductibles, including areas of lower elevation which are at or near sea level, e.g., Richmond. The Strata Property Act requires a Report on Insurance be made at each Annual General Meeting. Check your policy and your Strata Corporation’s policy and discuss your insurance needs with your insurance company or insurance broker.